What surprises me when I show properties all over the HRM is how often potential buyers overlook Dartmouth. Don’t get me wrong, from the peninsula up to Bedford and all around, there are many great locations to live. However, when it comes to a simple commute that avoids traffic, Dartmouth is hard to beat. I say Dartmouth has what you’re looking for because the city has fantastic options from the $100’s all the way up to over $1 million. From a business standpoint, the downtown core is constantly improving, which has had a positive impact on the homes in the surrounding area. Right now, it is possible to find affordable homes that are continuing to appreciate within walking distance to the ferry, all in proximity to the downtown core. Sure, the bridge can be a tedious proposition from time to time, but comparing to other major traffic veins, driving the MacDonald Bridge to Historic Properties is generally less than a ten-minute drive during rush hour. There is the age-old animosity between Halifax and Dartmouth, though I like to believe that this adversarial notion is dissipating as the region’s population grows from immigration and inter-provincial migration. With award-winning cuisine such as Two If By Sea and The Canteen, more and more people are making the ’dreaded’ trip across the harbour and for good reason. 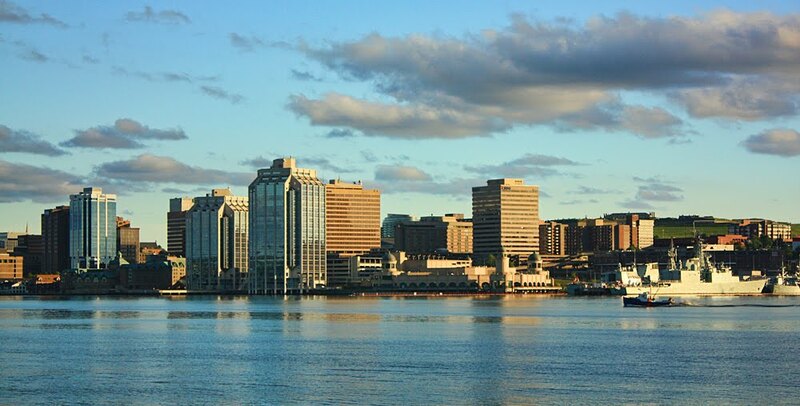 Dartmouth has incredible views of the Halifax skyline, and this extends to several neighbourhoods that surround the downtown core. There are incredible opportunities to buy properties with great views, and comparing to other major ocean and seaside cities, it is wild how affordable these properties are. Whether you’re looking for something urban or something rural, you can find it in Dartmouth. Montebello and Crichton Park provide suburban neighbourhoods that many buyers are looking for in Clayton Park and Bedford. One might argue that Crichton Park is akin to the Westmount area of Halifax, which means bigger homes and properties for growing families. All you need to do is venture out of the downtown core, though we’re only we’re talking a drive of 5 to 7 minutes. In those 5 to 7 minutes, you’ll likely pass at least three lakes and more trees than you can count. This leads to the ’rural’ component, wherein the idea of ’country in the city’ is achievable. For any buyers on the north side of $500k, a lakefront property can be yours, which will let you Nordic ski, swim, and fish in your backyard, all while remaining in the city! And if you’re in the $300k range, you might have to settle for living across the street from the lake! I get it, lakes are all around us. From Hammonds Plains across to Waverley, lakes aren’t hard to find, though when it comes to getting around, Dartmouth simply makes life easy. Dartmouth Crossing is easy to reach, Superstores and Sobeys are positioned well, Burnside has a lot to offer for employment, and trips to the airport are short. Many amenities are accessible in less than ten minutes, while all of the boating, hiking and swimming add balance to your life. And for investors looking for the elusive 7-cap property, Dartmouth has you covered. Finding net income from $20k to $50k from an investment property with list prices that reflect a capitalization rate higher than 5% is easily achievable. Whether you’re growing your portfolio or looking for your first income property, it’s time to consider Dartmouth. For anyone looking for their next home, ask me what’s presently available (active or offline) in Dartmouth. I’ll take you for a tour and you won’t be disappointed! You can get in touch with us here.